…When Interlocking pavers are installed correctly, the pavers, road base, sand and sand in the joints of the pavers causes them to bind together. Interlocking pavers easily transfer loads and stresses laterally between the pavers. By spreading the load (your car) on the pavers over a large area it reduces the stress on the surface. This allows heavier loads to be transferred over the base and sub base even better than heavily reinforced concrete. This is one of the main reasons interlocking pavers don’t crack when the driveway is moved by expansive soils and frost freeze cycles in the winter. You can get Unlimited color possibilities: take a look around our website the colors are endless. Check out the paver manufacturers pages. Create unique one of a kind designs: the design possibilities of pavers can’t be beat and we have 25 years of experience to help you. Interlocking pavers are Low cost and low maintenance: they don’t need sealing like stamped concrete and asphalt and repairs on pavers are easy. The life expectancy of pavers is Generations: We hate to say it but they’ll probably outlast you and me! There is no cracking with Interlocking pavers: if they move, they can easily be reset with no ugly repairs! Pavers are four times stronger than poured concrete: it’s a fact and it’s the reason why pavers last so long. Interlocking pavers are perfect surface for our freeze-thaw conditions: Colorado has long cold winters and interlocking pavers can handle them easily. Interlocking pavers, shapes, patterns, and colors make designing a beautiful outdoor living area or patio easy! Stone creek Hardscape’s does quite a bit of commercial paver Installations every year like, parking lots, cross walks, and intersections in streets. They make public areas and parks come alive with their beautiful colors. They add designs not possible with concrete and asphalt. Pavers add a natural beauty to landscaping that brings life and a relaxing beauty to otherwise dull public areas. Pavers come in many beautiful light colors that remain cool on hot days. Light colors are an important part of any pool deck design. Pool decks must have a cool surface, when you have people walking around in their bare feet on hot days. Pavers remain cool because they don’t absorb the heat like concrete decks. 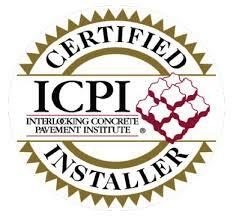 Concrete pavers are extremely dense units which possess exceptional strength and durability. They offer superior stability under severe loads, and are unaffected by the extremes of heat and frost. Each paver has joints that allow for a small amount of movement without cracking. Pavers are manufactured to rigid dimensional tolerances, so pavers are stronger than regular poured concrete surfaces and more durable than asphalt. They can take more abuse and last for generations. Paving systems allow for expansion and contraction without producing surface cracks, unlike monolithic concrete surfaces and stamped concrete. 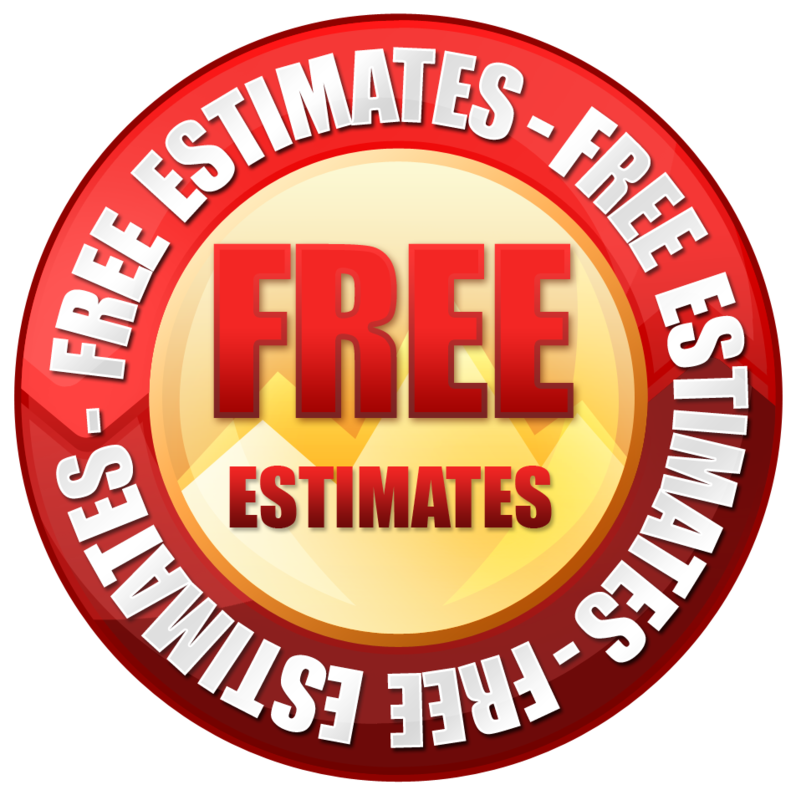 Remove and reinstate the same pavers with no ugly patches after repairs to the base or underground utilities. Asphalt, concrete, and stamped concrete can’t make this claim. Pavers are low-maintenance and offer low life-cycle costs. Stained or broken pavers can be easily replaced. Dark colored pavers will help hide stains. Ants and weeds in joints can be prevented with sealers or herbicides. They can easily be repaired by lifting the affected area, re-grading and re-compacting the base and bedding sand and then reinstalling the same pavers. 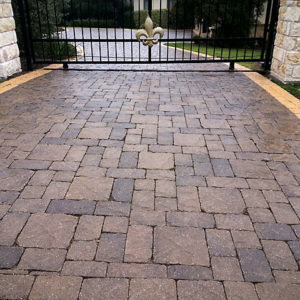 Paver repair is an inexpensive procedure that leaves no unsightly repair patches. Pavers are easy to maintain. 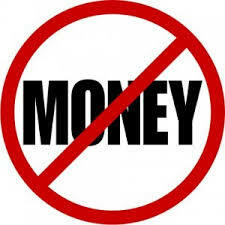 Regular sweeping and pressure cleaning are the usual maintenance needed. For heavy oil stains on driveways pressure washing with appropriate cleaning solutions with heavy scrubbing will usually be all that’s needed. Snow can easily be plowed or shoveled just like any other pavement. The beveled edges of pavers prevent shovels or machinery from catching on edges of the pavers. Salt or calcium chloride will not harm Pavers. Snow melting systems work well under pavers. When designs call for it, dark colored pavers help melt snow faster. 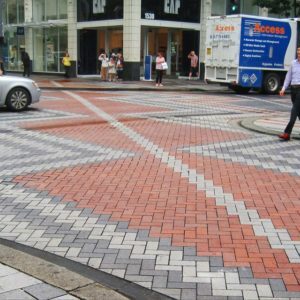 Interlocking Pavers are environmentally friendly and meet EPA – NPDES requirements.